Charles Finney | The Old Adam Lives! A podcast I listen to about Christians solutions to poverty makes a big point on the tragedy of taking shortcuts. The implications of shortcuts were ringing in my ears as I listened to this Stand to Reason podcast about Charles Finney. Direct link here. Full episode here . 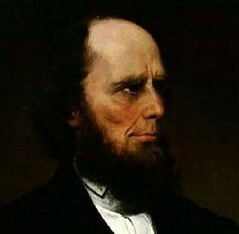 Charles Finney was a Presbyterian minister who was largely responsible for the Second Great Awakening, an American revival in the early 19th Century. He’s credited with inventing the modern day “altar call” and born-again experience. What most people don’t know is that Finney was largely influenced by Pelagius, a 4th Century monk and heretic, who didn’t believe in vicarious atonement or original sin. Finney sought to gather people around Jesus as merely a moral figure and make the church a moral reform society. Finney preached that “deeds not creeds” should be our focus to that end. Probably the worst thing that came out of Finney’s revivals was the “get saved” mentality which sought out converts rather than disciples. It was Finney’s philosophy to do and say whatever necessary to get people to make a decision at that moment. Unfortunately that led to a rather shallow depth of faith for his converts. As other revivals came through the area people were switching back and forth between denominations based on the powerful calls to action the revival preachers offered rather than a rich understanding of the tenets of their faith. Because of the intense revivalist battles the area eventually earned the name the “burned-over district“. It also became known as the psychic highway. It became a sort of past time in the area to have intense spiritual experiences and to create new religions around those experiences. Among those religions, Mormonism. This podcast also has a great number of implications and insights into our recent discussion on liberal Christianity and “faithless” religion.